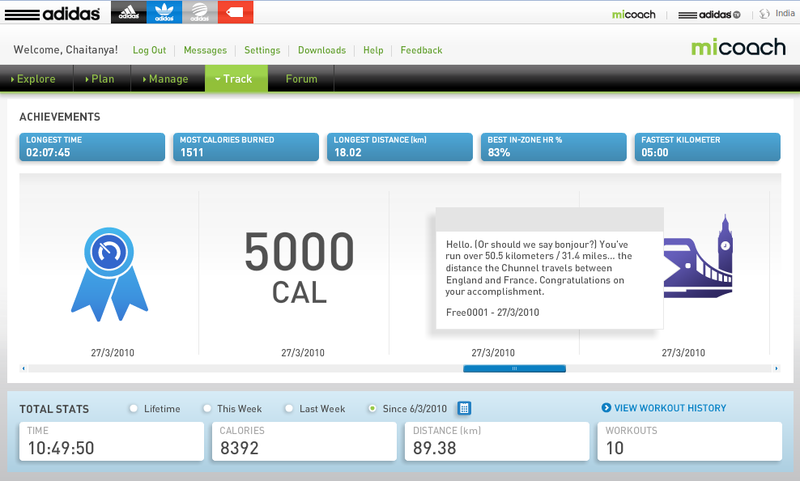 This is week 4 of my four week review of Adidas miCoach. Read the whole series here. Then you define your interval workout. 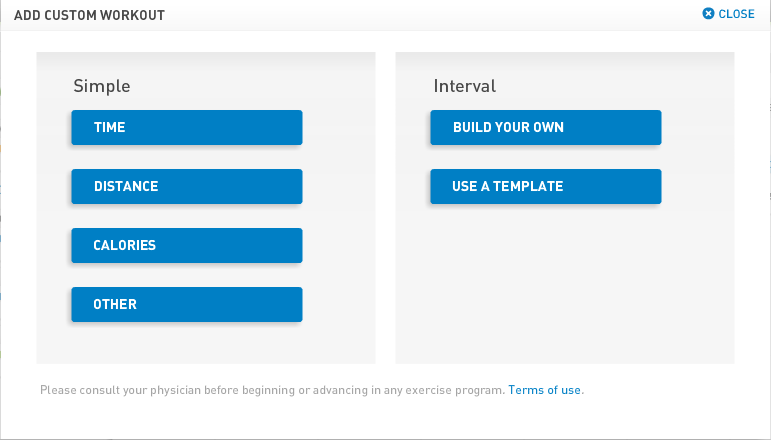 You can set the warmup/cooldown sections and upto 8 different kinds of interval sections. 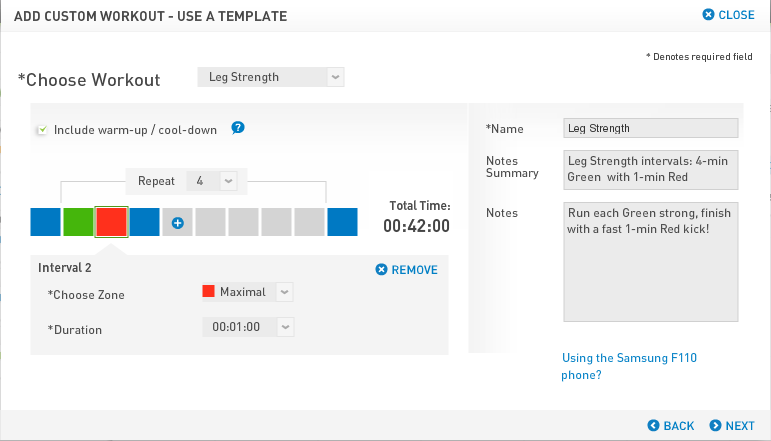 You also need to set the number of repetitions for the interval sections. 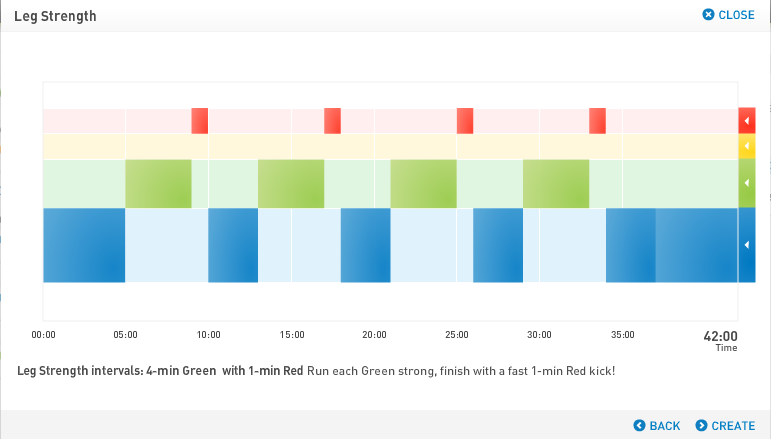 An overview of what your heart rate zones for the workout will look like, and you are done. This is almost perfect for my needs. One thing which will make it even better is that if one could also set the "duration" for the interval sections in terms of distance and not just time. But overall, its a job well done and its dead easy to define your own interval workouts. A novelty feature, mostly. But certainly makes you feel good! Another new addition is that you can pin your routes on a map (via Google Maps). You can supposedly add ratings, notes, etc. This is something I haven't really used much yet, so can't say much about it. I guess I'll add some of my running routes in Gurgaon and Jalandhar at some point of time. Another way I benefited from this device was that I picked up my running momentum again. Since I had no major upcoming events to run in since the Mumbai marathon in Jan, I had slacked off quite a bit on running in February. Thanks to the obligations placed by the miCoach contract, running is back on track :) Hopefully things will continue to get better.